What, Exactly, is Coffee Flour? Is Caffeinated Coffee Better for You than Coffee? After losing its organic certification last year because of soybean issues in the carrier oil, the maker of Mycotrol reformulated the Beauveria product. It’s now certified organic under the label Mycotrol ESO.Hawaii Department of Ag fast-tracked the approval process and our organic growers should see it on shelves soon. Bioworks tells us that the new carrier is much improved, and does not have the same solidification issues. Both Botanigard and Mycotrol have the same Beauveria strain and should have similar efficacies. Both now also come in a wettable powder formulation, which may aid mixing in large tanks. The tree on the left has not been pruned for years and is unproductive. The tree on the right is pruned and will be ready to grow when the season kicks in. Another successful KCFA: Coffee Talk workshop was held on January 22. Thanks to Bob Nelson for his input and farm access, and to Bob Smith for his input and willingness to share knowledge. After 25+ years, they know that pruning takes forethought if you want to insure the maximum yield with the maximum kindness to your trees. Thanks to KCFA’s new vice-president Suzanne Shriner who is also a co-chair of the KCFA’s Education Committee for putting all the effort into making this a winner – getting all the preliminary work done and for being there to facilitate the discussion. As Suzanne says,” Same questions are asked each year but we all need to reinforce what we do annually”. This year the dry conditions presented a unique situation. More than 35 Members, as well as renewals & new members- a few from Pauuilo, Hamakua to south Kona went away with more confidence. Next farming Coffee Talk on Selection is scheduled for May 20 at Bob Nelson’s farm. What to select when the new growth happens, is equally important. So many decisions but there is again, a method. Mark your Calendars! The next Coffee Talk will be held on Thursday, February 18 from 3-4:30 pm at CTAHR. Come and “Talk Story” with Jeri Hall and Ashley Obrey, the new Land Asset Managers for Kamehameha Schools Bishop Estate in South Kona. There will be no formal presentation but Hall and Obrey would like to introduce themselves to the Kona coffee farming community, learn more about what the KCFA does and meet its farmers. Mark your Calendars for this too! The Senate bill is the companion to the identical bill (HB387) introduced in the House last session by Big Island Representatives Richard Creagan, Nicole Lowen, Cindy Evans, and Joy San Buenaventura. In a subsequent telephone discussion, Ms. Moreno has committed to keep KCFA advised of Aulani’s progress in “rectifying the issue”. Thank you, again, to Kim Schneider for helping to alert us and the Aulani. Visitors who pay premium prices at luxury Hawaii resorts should be offered the luxury of genuine Kona coffee–not an inferior imposter that damages the reputation of our heritage crop. We encourage each KCFA member to let us know when you encounter similar misuse of the Kona name. -Farms that have an average annual value of produce sold during the previous three-year period of $25,000 or lessThe rule provides an exemption for produce that receives commercial processing that adequately reduces the presence of microorganisms of public health significance, under certain conditions. I still recommend coffee growers have sufficient general liability insurance, and to consider product recall coverage. The USPS just raised their rates and simultaneously wiped out the discount for online postage through Click-n-ship. Whaaat?? If you are frustrated with their clunky website system and mad because it’s costing you more, there are options. For a monthly fee of about $15, you can switch over to Endicia or to Stamps.com. Both have desktop apps for the PC or Mac, both streamline into website shopping carts AND both still have commercial discounts for postage ($11.95 versus $13.45 retail flat rate). So if you ship at least weekly, it will probably be cheaper, and definitely faster, than USPS.com. Two years ago, our business signed up for a 30-day free trial (still available) and never looked back. Pro tip, you can export your USPS address book (.csv format) and import it to your desktop address book for linking to Endicia. It should be noted that Endicia does not print SCAN forms unless you pay for the top-level account. (ed. note- Stamps.com does offer SCAN forms for the $15/mo customer. )However, the USPS does not require SCANs, only “encourages” them, regardless of what the clerks tell you. The coffee berry borer By Eurasia Review January 10, 2016 The coffee berry borer is a plague that affects coffee crops, but amazingly this beetle has a detoxification system that allows it to safely consume the equivalent of 500 espressos, a level so high that it would kill a human. 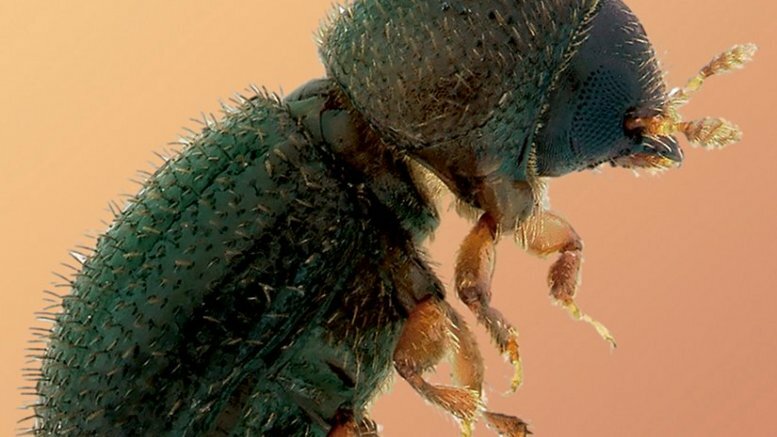 This is the finding of Mexican researcher Javier A. Ceja Navarro, as part of his work in the Berkeley National Laboratory (US) where he extracted DNA from the beetles, then sequenced it to study the insect-associated microbes. In his first results he disclosed that the insects, although feeding from the coffee grain in several countries, have different microbial communities, sharing just a set of 19 species of bacteria. “The aim was to study which are they and how they are associated with the digestive tract of the insect. For the study we took samples of insects from different locations like Hawaii, Indonesia, Puerto Rico, Mexico, Kenya, India and Guatemala,” Ceja said. Considering this insect’s capability, the specialist in biotechnology decided to study microbial communities associated with the digestive system of the beetle native to Africa, and which has the virtue of surviving such exposure to this kind of substances. In the second part of the research, Ceja extracted the digestive tract of the insect and isolated 13 species of bacteria with the ability to survive only with caffeine. Once discovered that the coffee berry borer has this amount of bacteria able to live actively on caffeine, the researcher took the task of finding out whether it was possible to control them. After analysis, the team decided to test antibiotics on the borer beetle, to see if it was still able to degrade caffeine and the result was negative. “We removed the microbial communities in the digestive tract and the transformation of caffeine stopped, then decided to take some of the isolated microorganisms, reintroduce them in the bug and see if the ability to degrade a bit of caffeine came back and it did,” Ceja said. Currently, the team is trying to develop new strategies to control the microbes that support the destructive ability of the coffee berry borer. “We look to take away the beetle’s taste for coffee and for it to be affected by consuming it like any other insect would,” said the researcher. to put this eco-friendly solution to the test in February. for the spread of coffee rust in Costa Rica and Central America. emergency funding in excess of $40 million to avoid further damage. on to Costa Rica and Central America in February. A release this week from Brandeis University suggested amazing new uses for “coffee flour,” which could deliver the antioxidant chlorogenic acid, or CGA, to people in new and more efficient ways. The Brandeis coffee flour is really a less-baked coffee bean. Typically a bean, which starts out sort of greenish, is roasted until brownish. But Brandeis’s Dan Perlman says that this roasting process drastically reduces the amount of CGA in the coffee. His solution is to barely roast it at all—at low temperatures and for a very quick period of time. Then he freezes it with liquid nitrogen and pulverizes it into a powder. “At the end of the process, you get a wheat-colored flour. Its taste is nutty, pleasant and mild,” says the release. The flour can be mixed with other flours, similar to cricket flour, buckwheat flour, or most other non-wheat flours, and used in the many ways that any other flour can be used. Presto: coffee-flour cookies. Fun! And yet if you go looking into “coffee flour,” you’ll find that this is far from the only potential product using that phrase. In fact there’s a company called Coffee Flour that’s also working on a product that bears the phrase. Created by former Starbucks engineer Dan Belliveau, Coffee Flour isn’t made from coffee beans at all. Instead, it’s made from all the other parts of the plant. 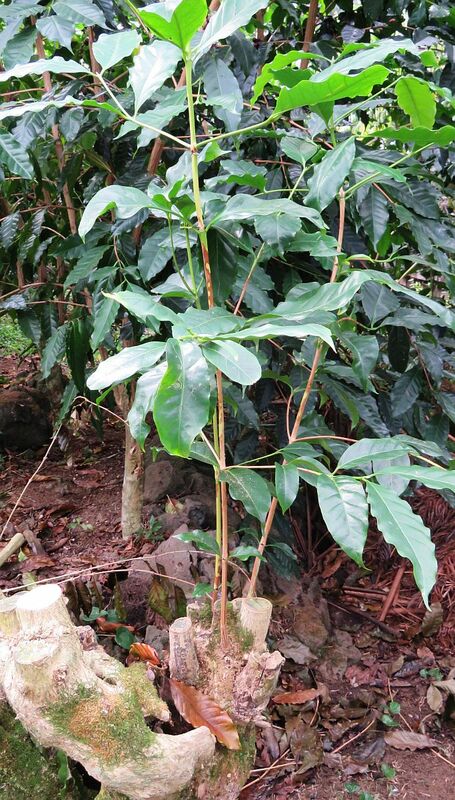 Coffee beans are actually the seeds of the coffee plant, which produces a fruit (perfectly edible, but not often exported) usually called a coffee cherry. When the beans are harvested, there’s a huge heap of pulverized fruits lying around. Coffee Flour—the company, this time—takes that fruit, dries it, and blends it into a powder that’s less a normal flour and more like a spice. The company claims that, per gram, it has more iron than spinach, more protein than kale, more potassium than a banana, more fiber than wheat flour, and more antioxidants than a pomegranate—though of course you’re unlikely to be consuming all that much of it. These are two totally different products, but one thing’s for sure: alternative flours are entering their next heyday, and coffee will probably be a part of it. Is Caffeinated Flour Better for You than Coffee? You’ve probably heard about all the research on the health perks of your morning brew. But the latest buzz is about coffee flour, which may be even better for you. Its body-boosting secret? A large dose of the antioxidant chlorogenic acid (CGA), according to the flour’s inventor, Daniel Perlman, PhD, a biophysicist at Brandeis University. CGA, found in raw coffee beans, is thought to be responsible for some of java’s most impressive benefits. But much of this powerful nutrient is broken down when the beans are roasted at high temperatures. Perlman has figured out how to make tasty coffee flour from green beans that are just partially baked (at lower temps for less time) so they retain nearly all of their CGA, the Boston Globe reported. Pearlman scored a patent on his process last month, and hopes a food company will license the flour—which contains three to four times as much CGA as roasted beans. He told Eater a number of companies have already tested it in bakery products.And yes, coffee addicts, it offers a caffeine fix too. Just don’t count on a post-espresso kick: “I would expect [the flour’s caffeine] to be absorbed a little more gradually than the caffeine in a cup of coffee, so [it would offer] a more sustained release and longer-term stimulation,” he said. Coffee scones with a subtle but long-lasting buzz? Yes, please! 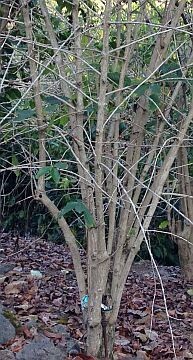 A newly identified disease has killed large numbers of mature ʻōhiʻa trees (Metrosideros polymorpha) in forests and residential areas of the Puna and Hilo Districts of Hawaiʻi Island. Landowners have observed that when previously healthy-looking trees begin to exhibit symptoms they typically die within a matter of weeks. Pathogenicity tests conducted by the USDA Agriculture Research Service have determined that the causal agent of the disease is the vascular wilt fungus, Ceratocystis fimbriata (Keith and others 2015). 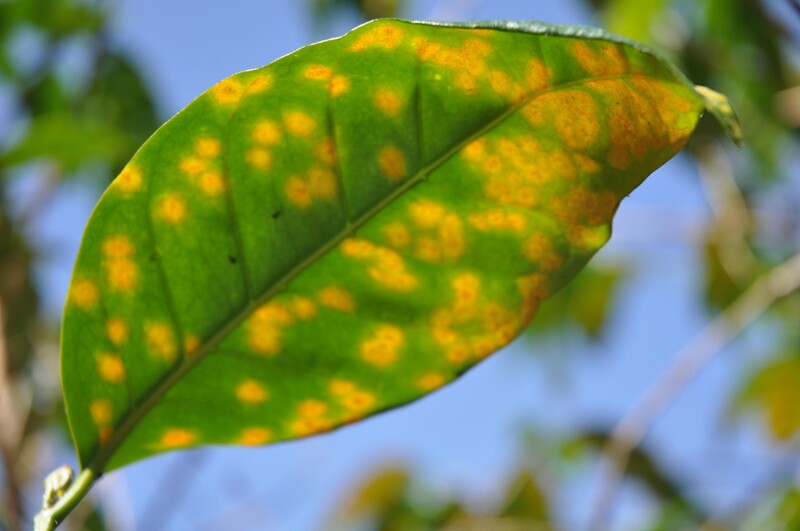 Although a different strain of Ceratocystis fimbriata has been present in Hawaiʻi as a pathogen of sweet potato for decades (Brown and Matsuura, 1941), this is a new strain of the fungus and the first record of any Ceratocystis species affecting ʻōhiʻa. It is not yet known whether this widespread occurrence of ʻōhiʻa mortality results from an introduction of an exotic strain of the fungus or whether this constitutes a new host of an existing strain. 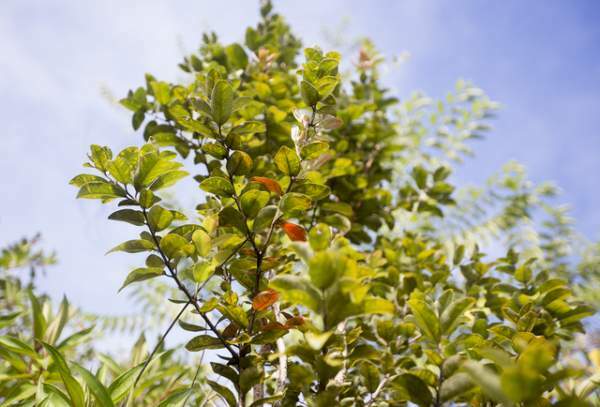 This disease has the potential to kill ʻōhiʻa trees statewide. The entire Big Island delegation to the state House of Representatives is endorsing a bill seeking to address the growing problem known as rapid ohia death. Scientists have observed mortality rates in heavily infested areas of between 50 and 90 percent due to the disease, which is caused by a fungus. Rapid ohia death was initially observed in Puna, but in the past several years it has rapidly spread to areas including Kona, Ocean View, Honaunau and Gleenwood, said Lisa Keith, a researcher with the U.S. Department of Agriculture. Scientists say the disease, which is also known as ohia wilt, has the capability of killing ohia trees statewide, but so far it has only been observed on Hawaii Island. It has not yet been found in North Hilo, Hamakua or Kohala. House Bill 1597 directs the state Department of Agriculture to research and report on the causes and possible control measures for the recently identified disease. The bill was introduced and passed in its first reading on the House floor Wednesday, the first day of the Legislative Session. The bill, introduced by state Rep. Nicole Lowen, D-Kailua-Kona, seeks to appropriate $200,000 to fund the preparation of the report, which is to be presented to legislators during the 2017 legislative session. 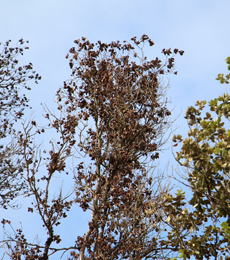 “The Legislature finds that rapid ohia death disease is devastating thousands of acres of native forest on the island of Hawaii,” the bill reads. “The ohia makes up about 50 percent of the state’s native forest and is a keystone species in native watershed areas. The bill passed its first reading on Wednesday. The spread of ohia wilt on Hawaii Island is much greater than originally feared, with the deadly tree fungus being confirmed in Kona and Hawaii Volcanoes National Park for the first time, according to the state Department of Land and Natural Resources. Line a 9×13 casserole dish or deep baking sheet with parchment or wax paper. Spread popcorn evenly on baking sheet. In a medium saucepan, combine brown sugar, butter, light corn syrup and brewed coffee. While stirring constantly with wooden spoon, heat over medium-high until temperature reaches 260 degrees F.
Immediately remove from heat and pour over popcorn. Stir to coat. Allow to cool before eating. Enjoy!